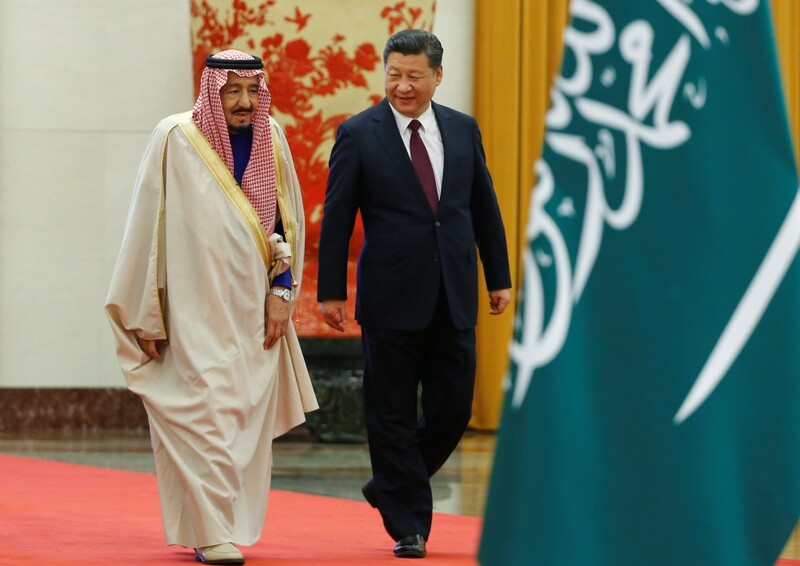 2 BEIJING (Reuters) – Saudi Arabia’s King Salman oversaw the signing of deals worth potentially $65 billion (53 billion pounds) on the first day of a visit to Beijing on Thursday, as the world’s largest oil exporter looks to cement ties with the world’s second-largest economy. 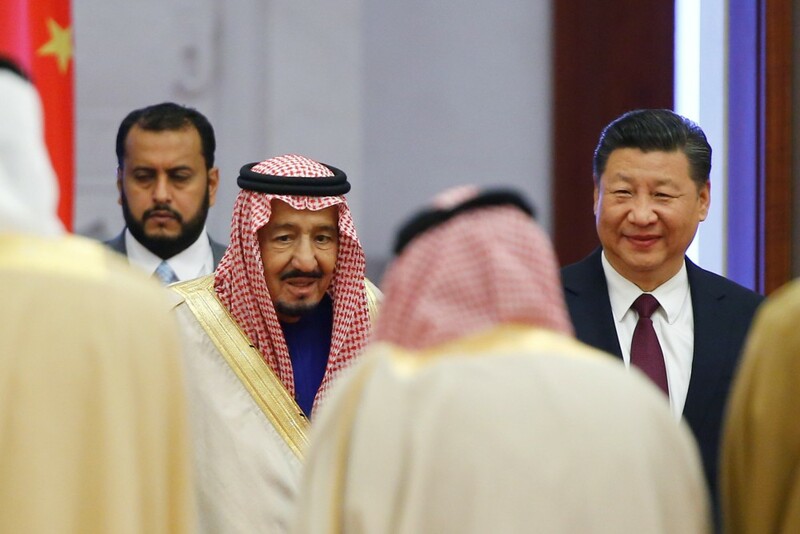 BEIJING (Reuters) – Saudi Arabia’s King Salman oversaw the signing of deals worth potentially $65 billion (53 billion pounds) on the first day of a visit to Beijing on Thursday, as the world’s largest oil exporter looks to cement ties with the world’s second-largest economy. The octogenarian monarch, who has overseen the launch of an ambitious economic reform plan since his accession two years ago, is on a month-long Asian tour. In Beijing’s cavernous Great Hall of the People, President Xi Jinping told Salman that China was a reliable and stable oil export market and the two countries should deepen cooperation. “For a long time, China and Islamic countries have respected each other and had win-win cooperation, and have created a model of the peaceful coexistence of different cultures,” Xi said, according to China’s Foreign Ministry. “Saudi Arabia is willing to work hard with China to promote global and regional peace, security and prosperity,” Salman said. Deputy Chinese Foreign Minister Zhang Ming said the memorandums of understanding and letters of intent were potentially worth about $65 billion, involving everything from energy to space, but he did not give details. For Saudi Aramco, the potential investments fit with its strategy to expand its refining and chemicals portfolio in its bid to diversify assets and secure long-term agreements for its oil. An MoU with state-run Norinco will look into building refining and chemical projects in China, while Saudi Basic Industries Corp (SABIC) and Sinopec have agreed to develop petrochemical projects in China and Saudi Arabia. The Norinco deal could involve exploring the possibility of a greenfield refinery and chemical plant in Panjin, Liaoning province, while also upgrading an existing refinery and petrochemical facility in the same location, an industry source said. Sinopec and SABIC, one of the world’s largest petrochemical companies, jointly run a refinery in Tinajin. Zhang said both the Yemen and Syria crises were discussed by Salman and Xi, and both leaders agreed that these issues must be resolved politically via talks. China has had to tread a careful line, though, as it also has close relations with Iran. Xi visited both Saudi Arabia and Iran in January last year. Next week Israeli Prime Minister Benjamin Netanyahu visits China. One Beijing-based diplomat from a Muslim-majority country told Reuters that China was trying to play the role of “honest broker” in the Middle East, as it lacks the historical baggage of the Americans or the Europeans. “China does not take sides and that is appreciated,” said the diplomat, speaking on condition of anonymity.